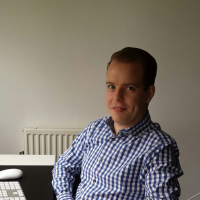 Michael Boelen has been developing tools since the age of 10. He has a special interest in information security. Being the original author of Rootkit Hunter (malware detection for Linux/Unix) and Lynis (security auditing and hardening), his passion is clearly in the field of auditing. With a diverse work experience, he gained both technical and managerial skills. The result is founding his own company, CISOfy, which helps others to measure their security efforts. Besides working, he loves to read, relax, and bike.